The extent or stage of cancer at the time of diagnosis is a key factor that defines prognosis and is a critical element in determining appropriate treatment based on the experience and outcomes of groups of previous patients with similar stage. The core of the language of solid tumors has been T (tumor) N (node) M (metastasis) staging introduced by a surgeon, Pierre Denoix, in the mid-twentieth century and enhanced by the Union for International Cancer Control (UICC) and the AJCC over the next 7 decades.3 Complete or near-complete TNM element collection is available in countries worldwide and has provided a backbone of anatomical staging to compare the incidence, extent of disease, and prognosis across continents. Both the AJCC and UICC are committed to updating and collecting these TNM elements for anatomical stage groupings. However, in high-, many middle-, and some low-income countries, additional prognostic and biological factors are routinely collected and used to counsel and treat patients. In the management of breast cancer patients, for example, the status of tumor grade, estrogen and progesterone receptor positivity, and the presence of HER2/neu gene overexpression often supersede the TNM tumor status for systemic and even locoregional treatment recommendations. The challenges that have become increasingly evident since 2010 include: (1) the need and adoption of nonanatomical prognostic factors based on the biological behavior of cancers in addition to the TNM extent of disease to identify and counsel patients on prognosis and treatment options; (2) the limitations in the levels of evidence used in many widely accepted publications on cancer; (3) the need for incorporating anatomical and functional imaging into staging; (4) the need to collect and incorporate staging data into electronic health systems and other shared databases; and (5) the virtual tsunami of new and existing biological data elements that are being discovered and collected with exponential speed that now require a systems biology approach and computational bioinformatics analysis to bring sense and meaning to our understanding of cancer (Fig. 1). The 8th edition of the AJCC Cancer Staging Manual, introduced in late 2016, will be required for staging patients beginning January 1, 2018. To benefit from a greater cross-section of cancer experts, in addition to the involvement of site-specific expert clinician panels, new Core Groups were introduced: precision medicine, evidence-based medicine and statistics, imaging, content harmonization, and data collection cores. Eighteen expert panels (formerly known as task forces) include contributors from 181 institutions, 22 countries, and 6 continents, all as volunteer content experts. In Chap. 1, “Principles of Cancer Staging,” the rules of TNM staging are fully described and include results of a TNM “harmonization summit” conducted by the AJCC that also included key representatives from the UICC. New paradigms and new features were added to the 8th edition to incorporate new knowledge of tumor biology and updated clinical strategies for cancer treatment (Table 1). Many new chapters were created and one was deleted in the 8th edition (Table 2). Several chapters were split or merged in the 8th edition (Table 3). In addition to completing an electronic version of the Manual, the AJCC has developed a Content Component Management System (CCMS) and application programming interface (API) that will allow ongoing updates and revisions that can be incorporated into electronic health systems, tumor registries, centralized national cancer databases, and other cancer stakeholders’ systems that will ensure the fidelity of cancer data collection and incorporation into cancer staging. AJCC’s vision for future content and products includes the development of prognostic staging calculators and an ongoing commitment of the validation of risk assessment tools and nomograms and inclusion criteria for stratification into clinical trials. For example, the development and use of staging calculators will be essential to stage breast cancer patients where several hundred tables need to be reviewed to calculate the prognostic stage group when all possible permutations that include grade, estrogen and progesterone status, and HER2 overexpression, prognostic gene panels, and T, N, and M categories are taken into account. These eight factors are now required for prognostic stage grouping when available. 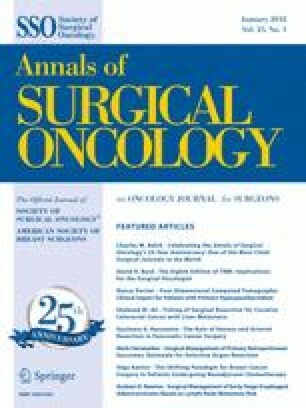 In addition to these much needed additions, the Breast Expert Panel, along with the Editorial Board of the 8th edition, has now recommended that lobular carcinoma in situ (LCIS), including the pleomorphic variant, should no longer be considered a cancer and, therefore, should not be staged using TNM. One ongoing tradition followed in each edition of the AJCC Cancer Staging Manual is to dedicate the compendium of work to an individual who has contributed significantly to the concepts espoused by the AJCC. The Editorial Board of the 8th edition departed from this tradition by dedicating the Manual to our Cancer Registrars who work tirelessly to codify the data that are used not only in staging but also in the support of clinical research and especially clinical trials. The Cancer Registrars have been recognized in addition for their “professionalism in the collection of factors that are fundamental to sustaining local, state and national cancer registries” and for their “leadership, support and promulgation of the principles of cancer staging and their positive impact on patient cancer outcomes.” We could think of no more meaningful dedication! The overarching principles found throughout the 8th edition support the concept of a team approach to cancer staging by clinical oncologists which includes cancer registrars, pathologists, and radiologists. The assignment of cancer stage is ultimately the responsibility of the managing cancer providers—surgeons, medical oncologists, radiation oncologists—who have access to the complete data set. 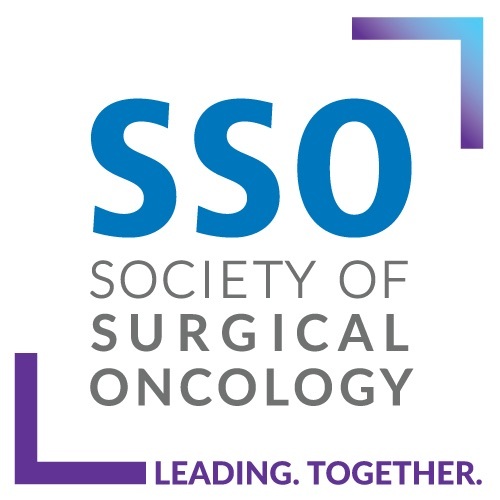 Leading up to January 1, 2018, the expectation is that all clinicians who provide cancer care will continue to document 7th edition cancer staging while also becoming familiar with the 8th edition content to aid in counseling their patients on the current best evidence for prognosis and treatment. We believe that familiarity with specific disease site chapter content and Chap. 1, “Principles of Cancer Staging,” will be essential to stage patients accurately and to utilize our “language of cancer” correctly.